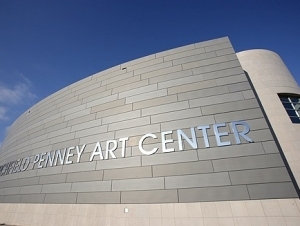 The Burchfield Penney Art Center at SUNY Buffalo State has announced its interim management structure while a search commences to replace executive director Anthony Bannon who stepped down from the position on June 30. Carolyn Morris-Hunt, chief operating officer, and Scott Propeack, associate director/chief curator, will share leadership duties while the search for Dr. Bannon’s replacement is conducted. Morris-Hunt has been chief operating officer at the Burchfield Penney since 2009 after a decade-long career at Buffalo State. Her responsibilities include oversight of the center’s administration, finance, and operations departments. Propeack joined the Burchfield Penney in 1999 and has held several positions of increasing responsibility throughout his tenure there. He has been associate director/chief curator since 2010, and his responsibilities include management of the Burchfield Penney’s collections and exhibitions program. Both Morris-Hunt and Propeack will report to Carol Kociela, chairperson of the center’s board of trustees, and Melanie L. Perreault, provost and vice president for academic affairs for Buffalo State.